School has policy to select teachers from all over the country. 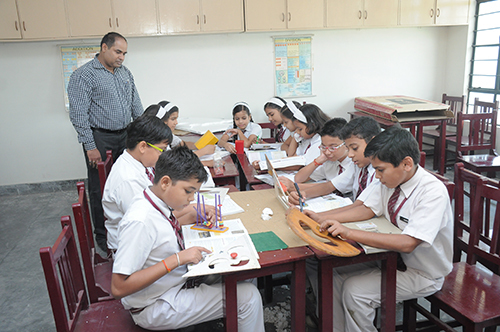 All members of teaching faculty are professionally qualified and experienced as per CBSE norms. Besides, an ideal teacher-student ratio is maintained in all classes for better education of the child. PRT: Our teachers at PRT level are full of motherly love and care for the children of tender age. We have picked up best of the gems for taking care of the apple of the eyes of the parents. TGT: Academic concern increases from class V onwards and thus our faculty at TGT level is selected with expertise in their subject. Treating students keeping in mind the psychological needs of the child remains an integral quality of all teachers. PGT: Our PGT faculty is specialized in its subject and is the best in the industry. Teachers at this level drive and guide the students with the point of view of both CBSE as well as Competitive Examination. Our teachers are passionate, responsive, mentor, humble, flexible, visionary and having sense of patience. They empower the students with knowledge and wisdom working diligently for them. They are creative and use their creativity in forming good lessons and exercises for the pupils. Love and care to the students is running in their veins and is so natural that not a single child remains untouched from the shower of love and care from them. They are well experienced and efficient enough to deal with the students of the age group they are designated for. They have visionary skills and foresight in them which enable them to see the image of their pupil years ahead of the day and thus they do proper mentoring of the students driving and guiding them towards their definite goal. Our teachers contribute intellectually towards the formation of a highly stimulating and creative academic environment. 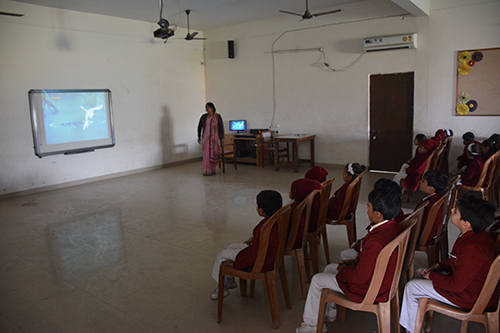 Emphasis is given on the teaching of Indian culture and its values by synthesizing modern education. For the same, teachers are kept abreast with latest changes in education and its patterns by conducting various workshops and seminars for them on various topics by renowned, experienced and proficient resource persons.